Tales from the Reuther Library -- We Have a Podcast! We are excited to announce the release of our new podcast, Tales from the Reuther Library, in which archivists and researchers at the Reuther Library share stories from our collections about the American labor movement, metropolitan Detroit, and Wayne State University. We launched the podcast with the first of two episodes featuring Dawn Mabalon, an Associate Professor at San Francisco State University and a recipient of the Reuther's Fishman Travel Grant. She shared her research on the life and work of Larry Itliong, a Filipino leader of California’s farm labor movement. Future episodes of Tales from the Reuther Library will feature interviews with other Fishman grant recipients, as well as stories narrated by Reuther staff. 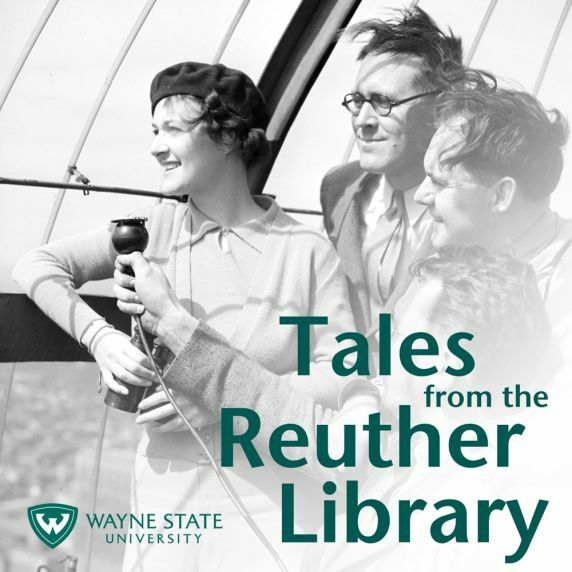 Listen to Tales from the Reuther Library on reuther.wayne.edu/podcasts, our podcast host website, or subscribe on iTunes, Google Play, Stitcher, Overcast, Blubrry, and more! Don't see your favorite podcast streaming app listed here? Manually subscribe in your podcast app of choice using our podcast streaming feed: http://reutherlib.blubrry.net/feed/podcast/. Bart Bealmear, Elizabeth Clemens, Meghan Courtney, Troy Eller English, Dan Golodner, Paul Neirink, and Mary Wallace. And many thanks to Reuther Library director Erik Nordberg for giving the Collective the time and funds to make this aural venture possible.